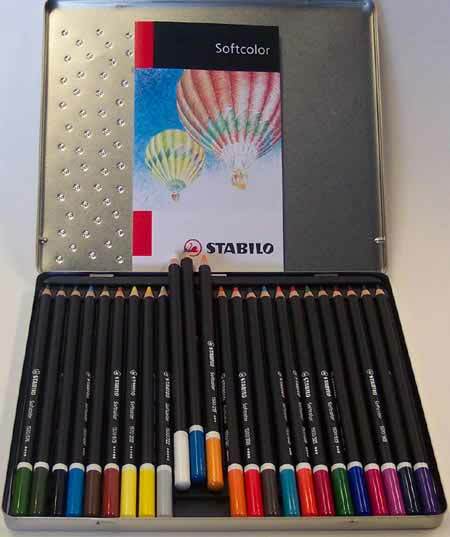 Coloured Pencils Staedtler Noris Club Pack of 12- Integrated Anti-Break-System - Quality coloured pencils. Crayola Quality Coloured Pencils Asst12s Intense colour, Non-toxic, colours blend easily. Micador - Colourrush Coloured Pencil 12s Bold pigments - Ideal for drawing and sketching- non-toxic.FSC certified wood. Coloured Pencils Osmer Recycled Box of 12 Assorted - Environmentally sustainable pencils made from recycled newspaper. Great colour coverage - quality leads sharpen easily. Use me save a tree! 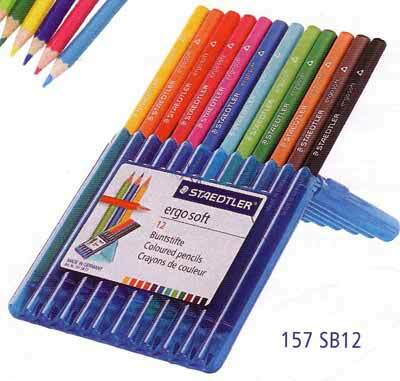 Staedtler - Triplus Ergosoft - Coloured Pencil Studio Box 12- Slim coloured pencil for all age groups- Unique soft surface, perfect ergonomics thanks to triangular shape- Staedtler stand-up box, 12 brilliant colours, soft, break-resistant lead- Also in box of 24. 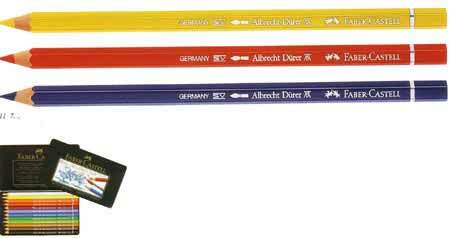 Coloured Pencil Albrecht Durer Tin 12 Faber Castell's finest quality artist Aquarelle - Water colour pencils made with pure pigments - Also available in 24, 36, 60 in metal box and 100's in solid wood case.